Remember in July last year when it was reported AlphaDream was recruiting for game development on Switch, smartphone devices and also PlayStation 4? Well, the Japan-based company is now seeking a Production Assistant to help progress game software development, according to a listing on its official website. AlphaDream is best known for its previous work on the Mario & Luigi game series. The developer's previous job listings signaled the company might finally be moving away from the 3DS. With Mario & Luigi: Bowser's Inside Story + Bowser Jr.'s Journey now available in all regions, this is even more likely. Unfortunately, its latest game has had a rough release, becoming one of the worst-selling Mario titles to-date within Japan. Is there anything, in particular, you would like to see next from this developer? Tell us down below. Thanks to Madison for the tip. Mario and Luigi: Bowser's Inside Story + Bowser Junior's Journey Deluxe for the 3DS, of course. For real though, I hope we get a Switch game that has a fun story and good pacing without too many new gimmicks like the first three Mario and Luigi games. I'd be all over that! A Mario and Luigi title with Wario and Waluigi would be a dream come true game for me, as they haven't had a relevant role in quite some time... Well, Waluigi never really has besides Mario Party 3 and Mario Tennis, but only because that was his debut. Everything after that has just been as a filler character/Wario's partner. I’d be happy with a M+L game for Switch if it’s similar to 1-3. But I’d really be happy if they give M+L a break and make a decent Paper Mario (or Paper Mario or TTYD remake). What's next? Bowser's Inside Story Ultimate Definitive Remastered Edition for Switch. Nintendo didn't earn enough for this title, they will bring it to Switch to recover the loss. What would be neat is Mario & Luigi Trilogy on Switch, where they bundle upscaled-to-HD versions of Superstar Saga DX and Bowser's Inside Story DX with a newly created Partners In Time DX in the same style. I could go for partners in time dx. That was my favourite. Also love the idea of pulling in Wario and Waluigi. What's next? Based on the sales in recent years, another Mario & Luigi game that people won't buy. Nothing really against the series - I only actually think the first one is any good personally but different strokes - but you'd think they'd slow down with the series for awhile after having had four games in a row underperform. I'd love a M&L game on Switch. I think there's loads of potential in a Switch title. I’m guessing Partners In Time; that would make the Mario and Luigi Series complete on my 3DS and I would be very happy if this were the case. @19Robb92 The Mario and Luigi games are the perfect blend of RPG and some real time action. I don't think another RPG beats it. Yeah, I love the humour and the battle system. The M&L games are also some of the best at making use of the DS/3DS features and I can't wait to see what they come up with for the Switch! Moving away from pixel-art is also a bonus. @MysteryCupofJoe Superstar Saga is a masterpiece! It's the best entry in the series, in my opinion. The sequels I played got increasingly easier and gimmicky. 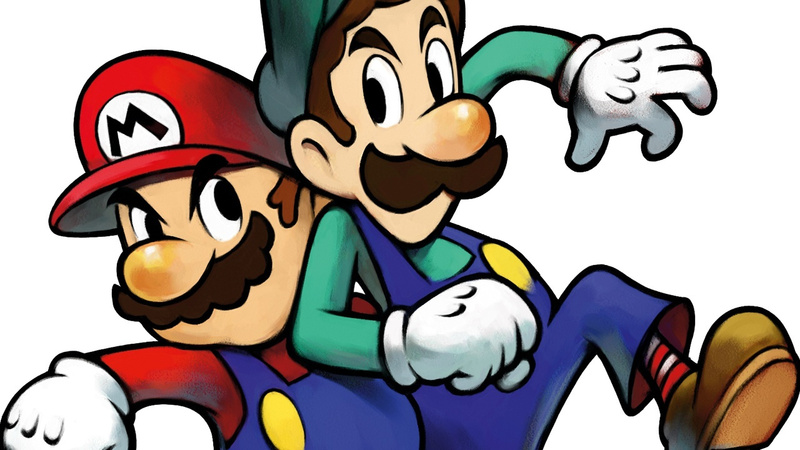 I'd buy a Switch Mario & Luigi game in a heartbeat; one I hope returns to its roots. We must avert the death of the Mario RPG! @jtmnm Yeah, that's exactly why I can't get into any of the games after the first one. Well, and to a lesser degree Partners in Time, I've played through it twice years apart and it has its highlights but I can't see a scenario in which I want to play it a third time. Just with every progressive game, the humor gets more, "Let's try and make memes," and the combat (and just traversing the overworld itself at points) becomes progressively more bogged down in increasingly long and convoluted minigames to the point I really just don't even find it fun. Paper Jam was by far the worst for that but really even Superstar Saga clearly has those issues, they're just kept to a reasonable level with that one. Just make an original game? Please?? Throw away any unnecessary suggestions from Miyamoto or anybody that'll deviate Alpha's true vision. I would love a Mario and Luigi game for Switch, one that's more like the first 3 entries than the ones designed for 3DS. Nintendo should totally just let these guys handle the Paper Mario series from now on or just merge that series with the Mario & Luigi series. Doesn't seem like Nintendo knows what to do with that franchise anymore. They released a game for $40 that is functionally THE SAME as a game that can be had for $10 and is playable ON THE VERY SAME PLATFORM. If this "worst selling Mario" tag is owned by anyone, it's Nintendo, not Alpha Dream. Do they develop anything but Mario and Luigi games? I mean, I’m always down for a new Mario and Luigi game, but I’ve never seen any of their other work. @Moonlessky oh I agree. I mean I would prefer a new one, but I’d still snap that up in a heartbeat. @cjmaverick Been hoping for Wario and Waluigi to be in a Mario & Luigi since Partners in Time. Here's hoping! Alphadream was awesome helming this series, but I feel like the series has gotten worse by relying on gimmicky styles of play. I still play the games nonetheless cause of the humor and fun battles, but I think it needs to go back to basics a bit. Either way, if there's a next game in the series, I look forward to it all the same.